Ocean Trails is surrounded by many beautiful beaches and an incredible and diverse abundance of regional and provincial parks. Our resort is located on the bluff above famed Rathtrevor Beach, a 5 kilometer stretch of sandy beach. At low tide, the ocean recedes a kilometer from shore, leaving a vast stretch of sand perfect for beachcombing and sandcastle building. 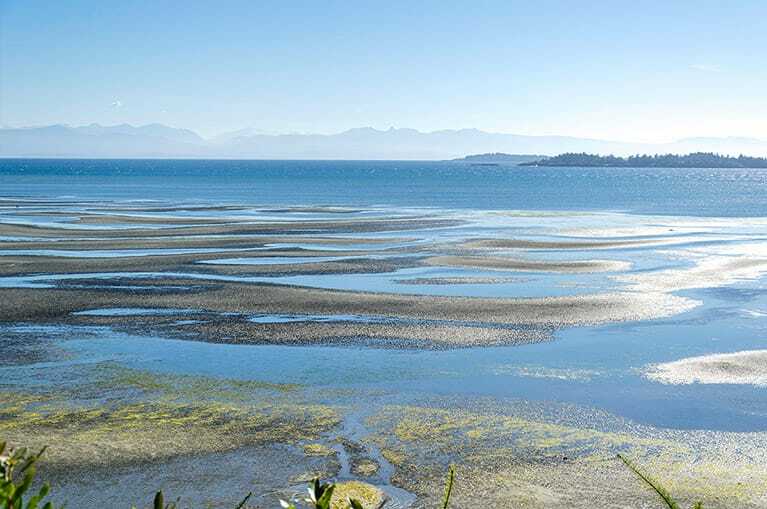 Water currents and ocean floor topography combine to create wide, flat expanses of sand on Rathtrevor Beach. In summer, the water warms to 20°C (68°F) and tidal pools are brilliantly brimming with sea stars (starfish), crabs, and sand dollars. If you love all kinds of beaches, we have 19 kilometers (11 miles) of shoreline very close to Ocean Trails. Sandy beach with lush woodland and serene oceanfront trails, and delightful picnic grounds. This beach is home to an excellent children’s beach playground with swings, slides, water cannons, and picnic area. 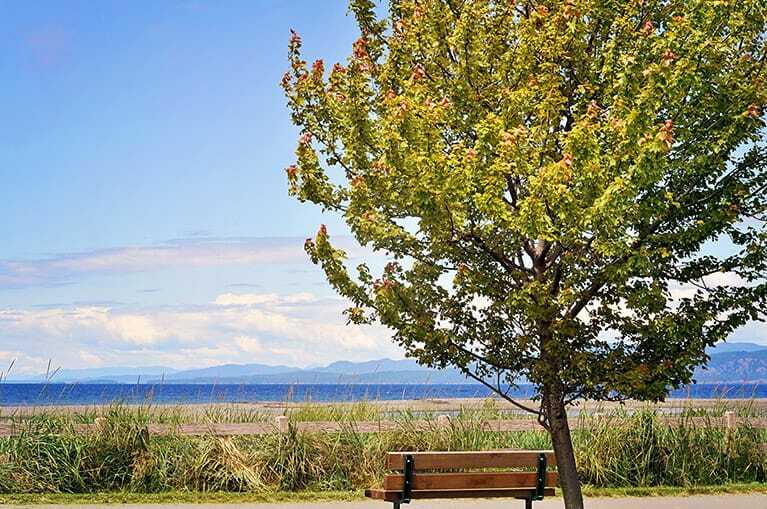 4 km of curved sand beach in the quaint and lovely town of Qualicum Beach, are rimmed by a paved promenade for hikers, bikers, and sunset watchers. The beach has picnic tables, trees, and a change-room. North of Ocean Trails’ are many secluded bays and coves, with the beaches becoming rockier – perfect for beachcombing! 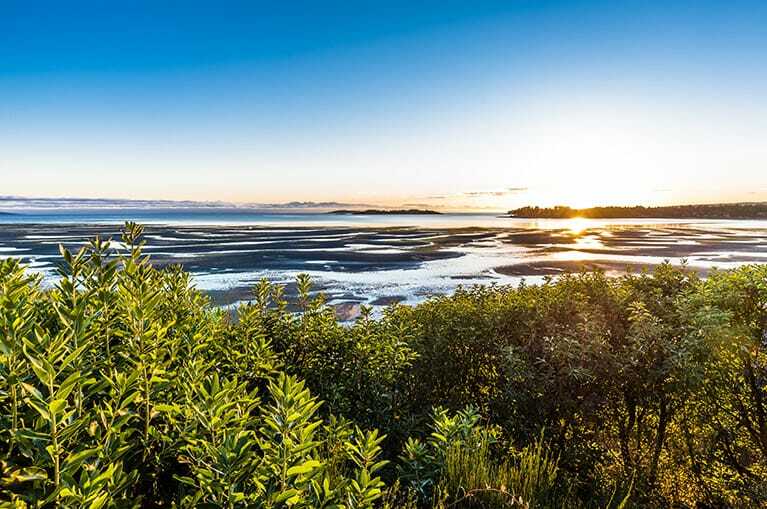 This area is home to Qualicum Bay, Bowser, and Deep Bay, as well as two picturesque lighthouses. Parksville’s nearby regional and provincial parks have incredible forests, rivers, waterfalls, lakes, mountains, and beaches. There are 20 provincial parks in the area along with many regional and local parks offering opportunities for enjoying nature and unique, spectacular scenery. Featuring two ball fields, a lacrosse box, public tennis courts, curling rink, concession stand, BMX/Skateboard Park, two beach volleyball areas, and a children’s playground with water sprays. Cathedral Grove is home to forest giants, Douglas firs more than 1000 years old and ancient Western red cedars that line a network of trails. Top Bridge Regional Trail and Mountain Biking Ocean Trails is surrounded by many beautiful beaches and an incredible abundance of regional and provincial parks.